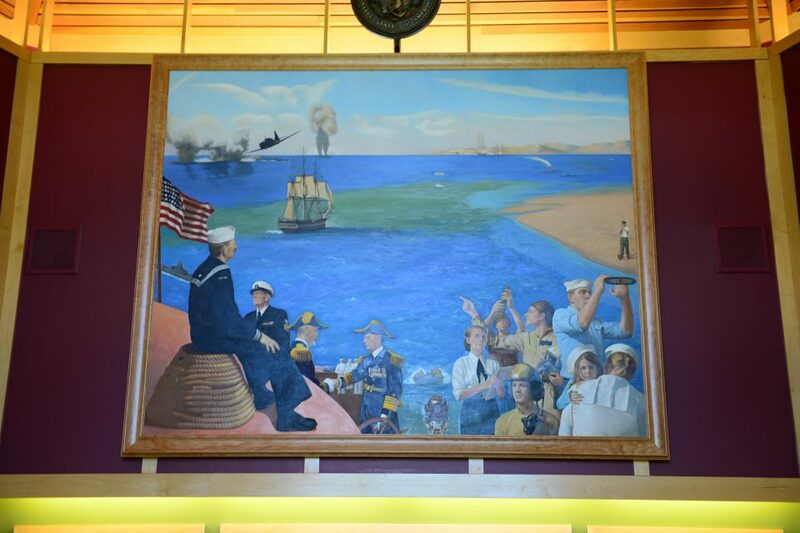 The Navy painting–the 2nd of five– will be on display in the Depot in the St. Louis County Historical Society’s exhibit area through early Monday, May 19th, 2014. Artist Charles Kapsner will be at the Depot Friday, May 16th – Sunday May 18th from noon – 3:00. By vetsart in Uncategorized on May 16, 2014 .